Just Kidding. This is not really about Will and Kate although I did enjoy their wedding (even dvr'd it so we could watch it later). The Gospel was certainly preached and apparently around 2 billion people saw and heard. That's pretty cool! We are in the days of the counting of the Omer (Day 11, 12 at sundown if your keeping track). Leviticus 23 tells us to count the fifty days that fall between Pesach and Shavuot. During Passover we had three services and a seder in one week. A week later I am still pretty tired. Don't get me wrong, I love Passover and it makes me sad every year that so many Jewish people (and the rest of the world) are aware of Passover but so many have never even heard about the 50 days or Shavuot (aka Pentecost). Together these three events on the Jewish calendar are called the season of freedom. The God of Israel accomplished many things during this season. At Passover God gave us freedom from slavery in Egypt and freedom from sin and death with the death and resurrection of Yeshua. During the days of Omer we traveled from Egypt to Sinai in fifty days and Yeshua appeared resurrected to His disciples for the first forty and ascended into heaven. On Shavuot God gave us the Torah and the Ruach HaKodesh (Holy Spirit) many years apart but on the same day. Awesome! These are the best fifty days on the Jewish calendar! These are such amazing days for Israel, the nations and for all of creation. The God who created us set these events in motion to call us to remember that not only is He real but He is intimately involved in His creation. So much attention for a really great wedding and a reminder in that wedding of all that God has done for you and me! Embrace the season of freedom and the one, Yeshua your Messiah, who has set you free for freedom (Galatians 5). my birthday I kept checking my facebook all morning to see if anyone had said "happy birthday" to me. I was severely disappointed to find that no one did all day. I began thinking to myself, "did I do something wrong? I try to say happy birthday to everyone, but maybe no one cares." Then, I realized that my birthday was not viewable on my profile. About an hour after I made my birthday viewable about 30 people wrote on my wall, and by the end of the day it was around 90. Isn't funny how fast we go into self loathing? I say "we" because I think you do, too. We are so wrapped up in how much other people respond to us that when they don't we get sad. I know, some of you are way above these problems, but for the rest of us we need to learn that our self-worth should be rooted in God's love for us and how He views us. "But you are a chosen people, the King’s cohanim, a holy nation, a people for God to possess! Why? In order for you to declare the praises of the One who called you out of darkness into his wonderful light. Once you were not a people, but now you are God’s people; before, you had not received mercy, but now you have received mercy" (1 Peter 2:19-20). we approach Pesach this week remember that the God that freed us from Egypt has made a way for you into His presence through the blood of our Pesach lamb, Yeshua our Messiah. Don't worry about people and what they think about you, or if they remember you. Know that the God of all creation has great plans for you and loves you with an incomparable love! 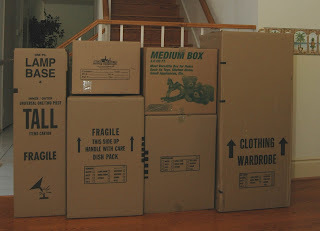 Moving is stressful, especially at such an important and busy time of year. At the same time it is a great reminder of the first Passover. They must have been stressed out! Pharaoh said they could leave ten times and changed his mind ten times. We have had time to prepare and pack. 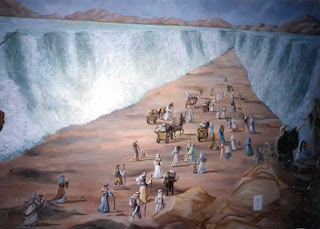 The children of Israel were packed for a long time and ready to go for a long time. When the time came they ran. Pharaoh followed. What a stressful time. Plus, they didn't even know where they were moving (and definitely did not realize they would walk in circles for forty years). 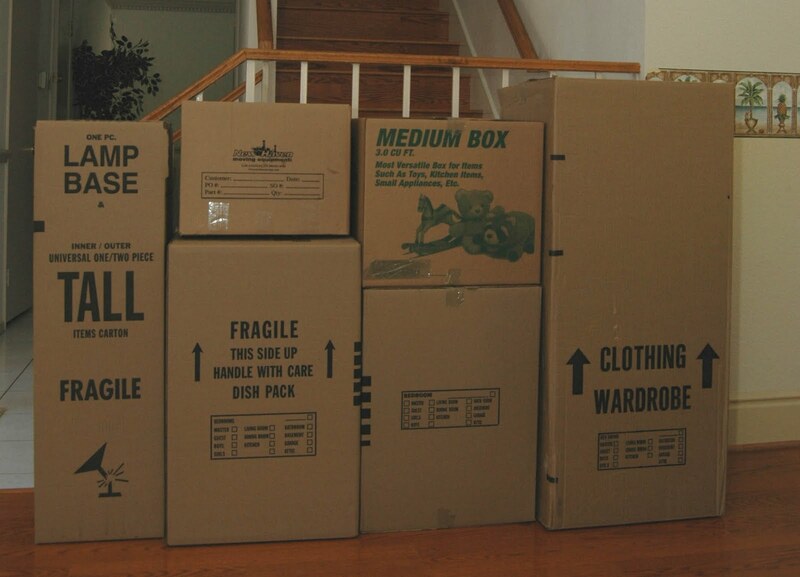 So, is moving stressful? Yes! But there is also excitement for new things (some of which we are entirely unaware). The trick it seems is trusting that God has good plans for us. And God has a good plan for you! The Creator of the universe has got your back. But He also wants your trust. And if you put your trust in Him, He will never leave you or forsake you! Passover is the first time that we see that promise fulfilled for the whole nation of Israel. It's also the time that Yeshua offers Himself as our Passover lamb proving that His desire is to never leave us! This is a great season of freedom (from Pesach to Shavuot and the fifty days in between). Have you found freedom yet? It's free. And that is exactly what God gives us freedom for: to be free!